I celebrated my 70th Birthday at Ramada Resort by Wyndham Shoal Bay with 23 family and friends. Friday and Saturday nights staying in various size apartments. Upon arrival, my family and friends were very well looked after by staff as coordinating and directing this big group to find my unit for dinner was the task on Friday evening. 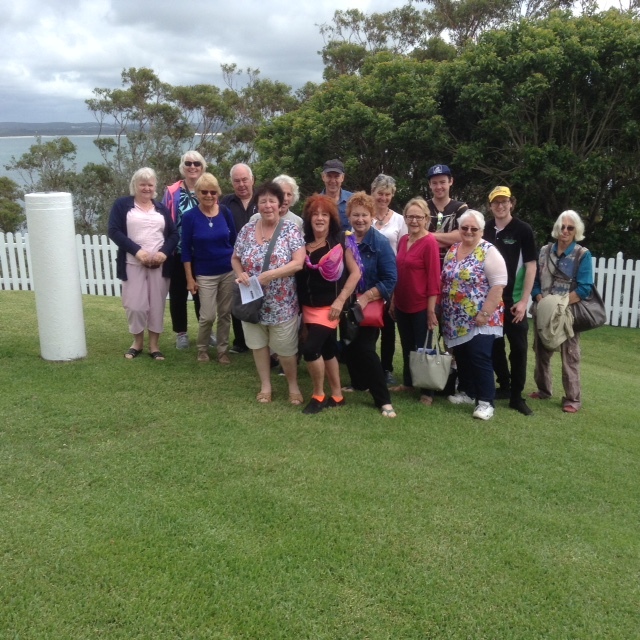 On Saturday we went to the Nelson Head lighthouse reserve for scones jam and cream at the cafe overlooking the bay. You can see the history of the bay and the Marine Rescue Centre all free to the public except cafe. Parking there is limited. All run by volunteers and there are donation tins scattered around. Also, the Community Arts and Craft Centre is amazing just along the road back towards the resort. Several purchases from handmade cards to paintings. 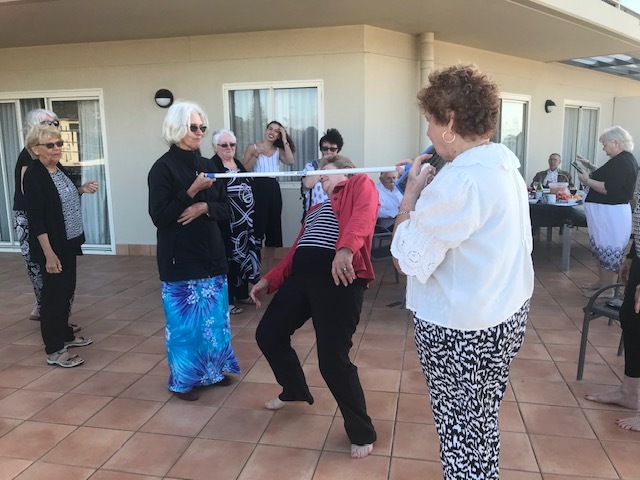 On Saturday afternoon/evening the party was held in the 2 bedroom Grand which has a larger veranda than other units. Staff were very accommodating with all requests. The weather was kind with some of us swimming in the internal pool as well as the external pool. Holidays by WorldMark South Pacific Club by Wyndham, as the name implies, are always a world-class experience. 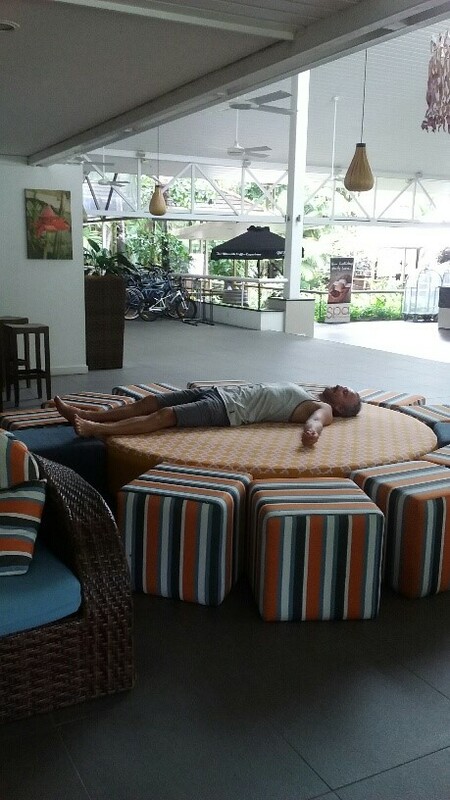 Our recent stay at Ramada Resort by Wyndham Port Douglas was, as usual, no exception: a relaxed & cheerful check-in; outstanding facilities at a superlative location; superior comfort (it’s the only time we don’t need to take our own pillows!) & a kitchen superbly equipped. I love that feeling of assuredness that the consistent level of quality will be there every time = holiday bliss. There’s always a guaranteed jovial ambiance created by equally happy fellow-owners, also enjoying their quality time. There is that carefree ‘knowing glint’ in their eyes . . . as if we all belong to a secret club. 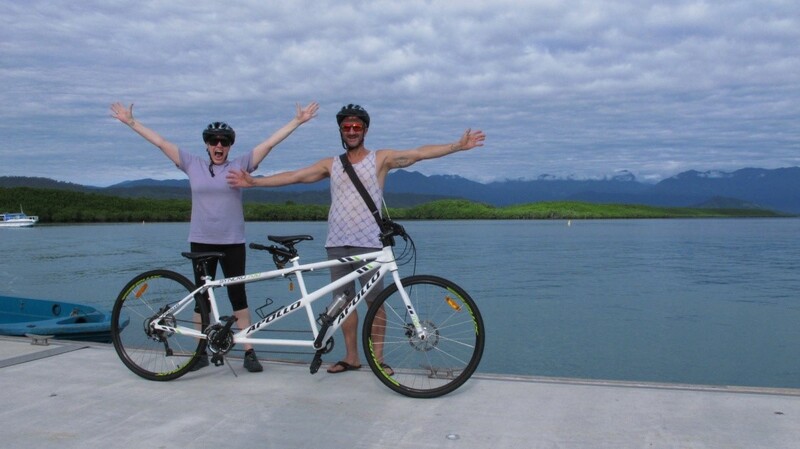 Hilariously, one of the things on my husband’s bucket list has been for us to ride a tandem bike – on arrival, to our utmost surprise, there stood a cheeky white tandem bike on the fabulously welcoming deck/activities area ! Tick. Somehow we made it to Port Douglas Marina! 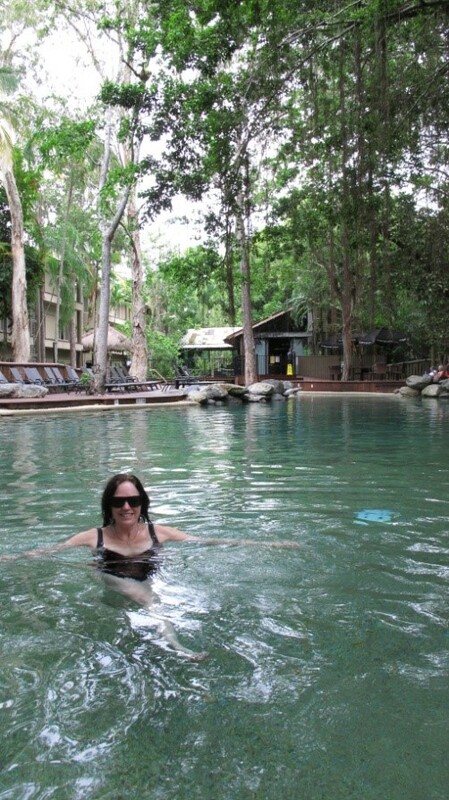 The resort was magnificently set in rain forest & a waterfall/swimming pool that made the whole place feel surreal. 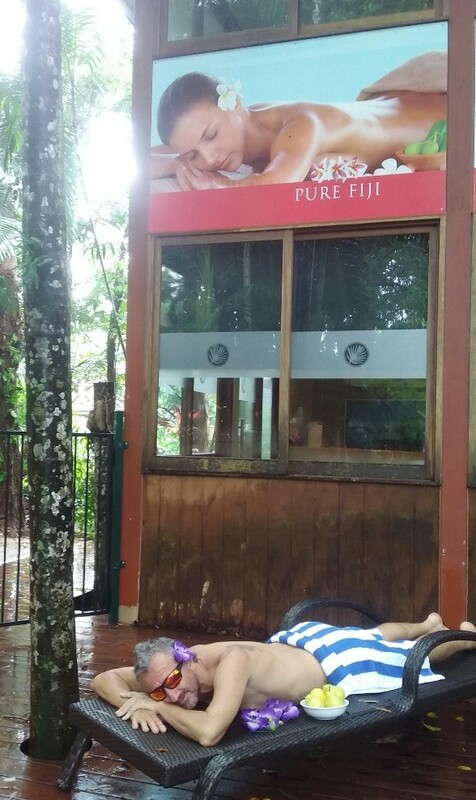 The beauty spa within the resort was genius. Just relaxing there was enough to feel a world away from worries. All pent-up stress just melted. Center of the resort pool! While I was inside the beauty spa. Close by, the World Heritage Daintree Rainforest & Barrier Reef provided an array of world-class experiences to evoke awe that was unforgettable. What a country we live in ! Live crocodiles; rainforest that meets the ocean; sensational snorkeling & insane rainforest flavors of ice-cream . . . something for everyone. Each time I depart from a Wyndham Resort, I remember my initial skepticism prior to joining – it all seemed just “too good to be true”. But every stay over the last 17 years has consistently exceeded my expectations. What an outstanding investment I made in guaranteed quality holidays ! Even partners have come & gone in that time but my WorldMark relationship has never disappointed – I can’t imagine my life without it! If you are looking for somewhere to spend your next getaway, you can’t go past the beautiful Sunshine Coast in Queensland. 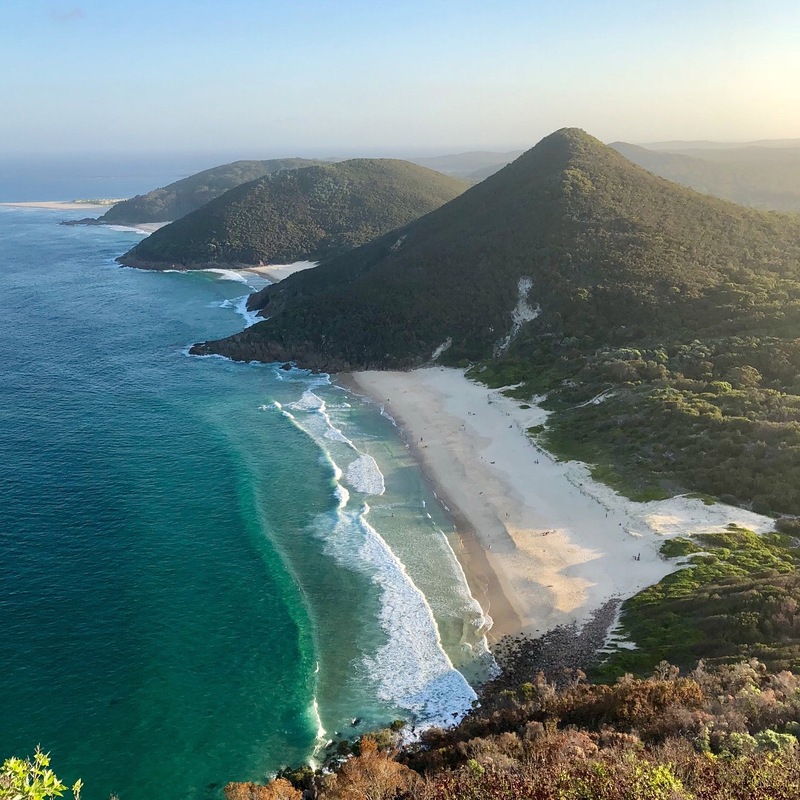 Last weekend we went on a 3 day Sunshine Coast family holiday exploring the sights and surroundings that this stunning part of the world has to offer and we were impressed. There is plenty to do on a budget and the atmosphere is just laid back, relaxing and fun- the perfect little weekend getaway. Our accommodation was a one bedroom suite at the Ramada Resort Marcoola which was good because it was so central to everything and right on the stunning Marcoola beach. 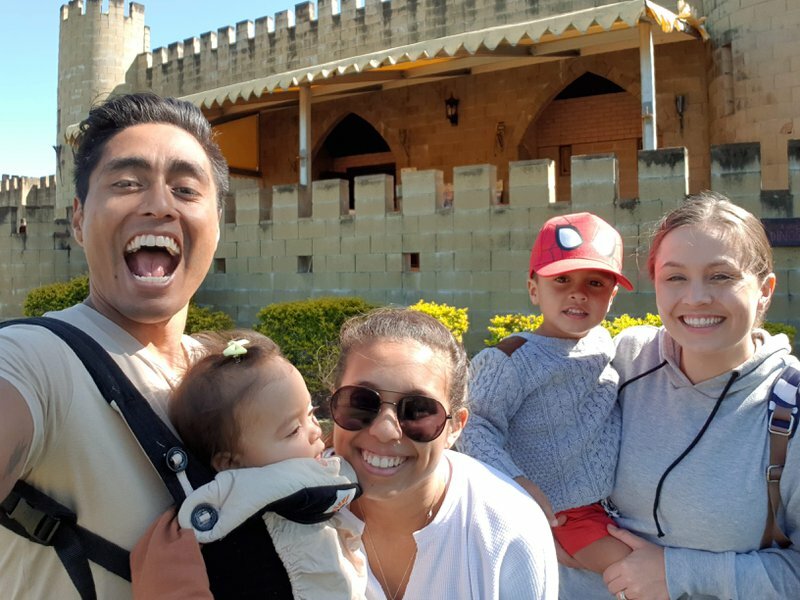 After our early morning beach walk and exploring the local cafes we decided to head to Sunshine Castle Bli Bli for the day. The castle was only a 9 minute drive from our hotel and seemed to be a fun day out for the kids. Entry was within budget at only around $40-$50 for a family of 4 and this included a scavenger hunt and prize for each child at the end. 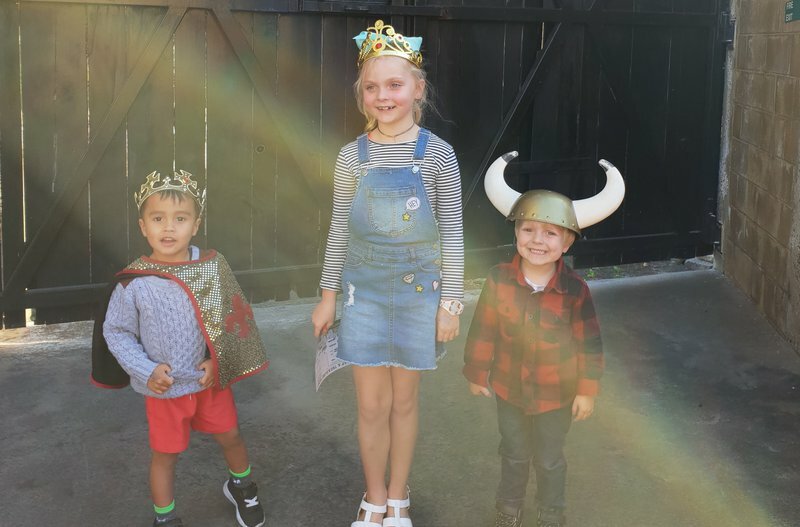 The castle boasts 2 towers which offer picturesque views of the coast and hinterland as well as a themed dining hall, dungeon and plenty of interesting medieval and historical displays throughout which the kids loved! The Castle was originally built by a couple as an exhibition centre for their doll collection which is still displayed at the end of the tour- however this display brought on the rather ‘Curse of chucky’ type vibe and we moved on quickly. The castle was very quiet and we were able to just walk through at our own pace. We were looking to do something a little more adventurous by today and decided to look to groupon for ideas. 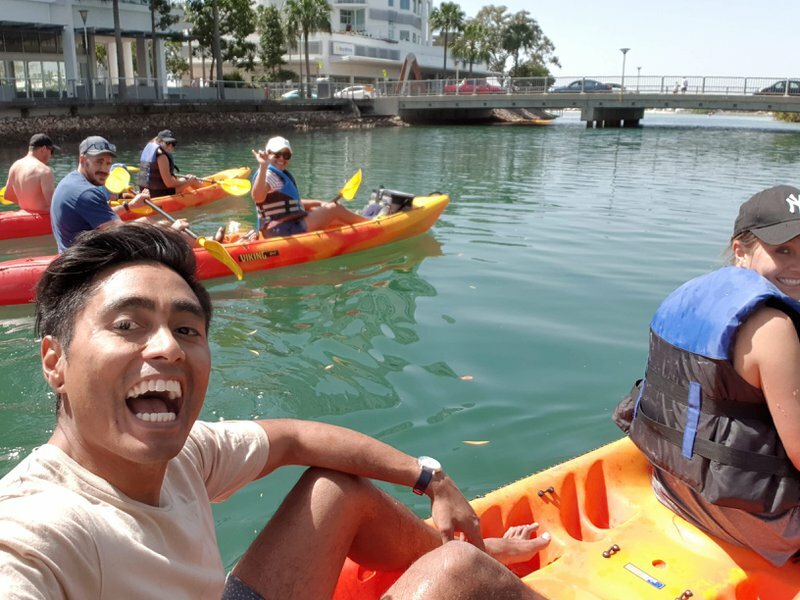 We came across some half price coupons for kayaking down the maroochy river which only set us back a very reasonable $20 per kayak for 2 hours. The team at Sunshine Watercraft located within the Sunshine Plaza at Maroochydore were so friendly and helpful and were more than happy to fit us in without a booking. We paddled along the river about 15 minutes before reaching a sandbar just off the beach at Cotton Tree where the crystal clear blue water was too hard to resist and we all jumped in for a lovely swim. We then continued on to Cotton Tree where we parked the kayaks and strolled across the road to The Prickly Pinata for a couple of delicious banana colada cocktails and the kids had a play in the park. This day was my favourite part of the holiday. 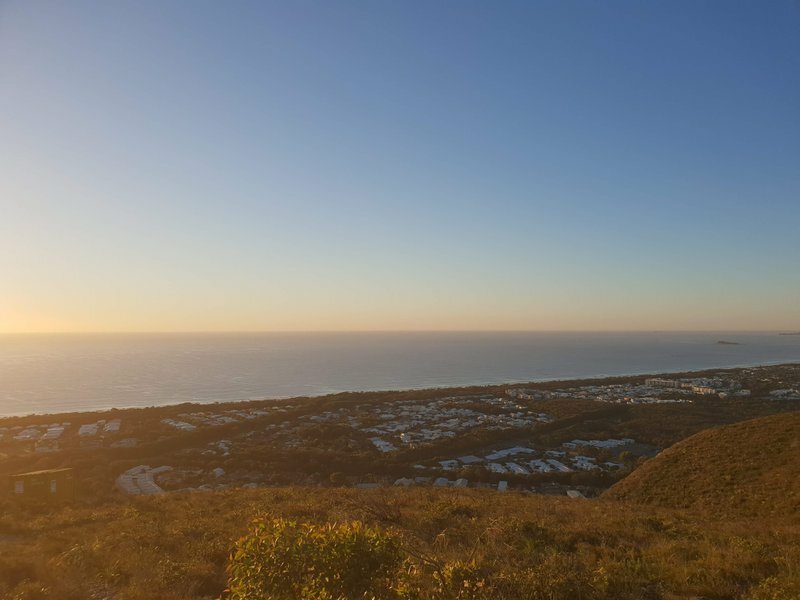 For our last day we decided to venture to Mount Coolum for the 6am sunrise. After fumbling around in the dark at 5am to get warm jackets on and bundling everyone in to the car we eventually made it. The drive to Mount Coolum was only 6 mins from our hotel. The walk was a steady uphill climb and took around 30 mins to reach the top. We didn’t find the track overly challenging as we went with our 10 month old in the carrier and our 3 year old managed most of the climb himself with the exception of a few shoulder trips. The views of the coast and hinterland were breathtaking and well worth the trek! After a big breaky and a rest we checked out of our hotel and then decided to brave the crowds and head to the iconic Noosa beach. After driving around for what seemed like an eternity we finally got a park. The beach at Noosa was flat and shallow- perfect for the kids to have a nice swim however it was packed and finding a spot to park the beach tent proved difficult. After some window shopping and a gelato we headed home. 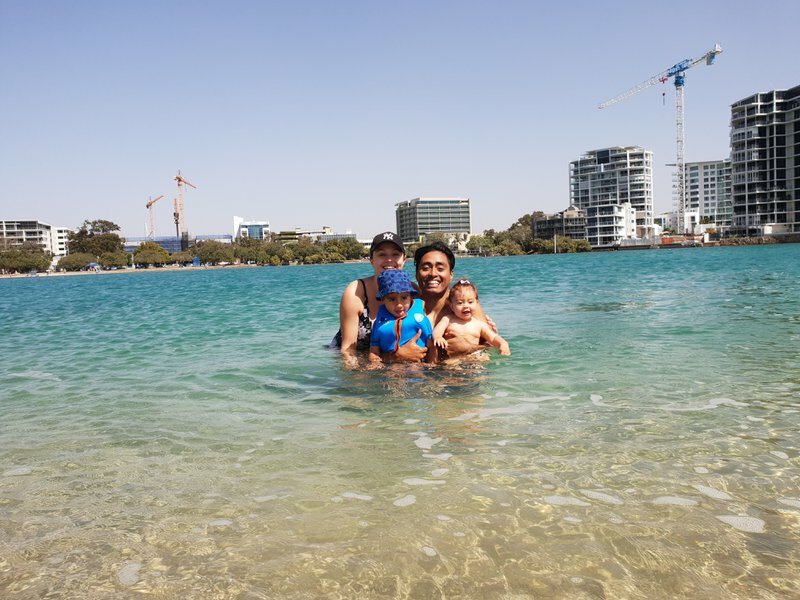 What a great Sunshine Coast family holiday! We thoroughly enjoyed our time away and would highly recommend for anyone looking for a cheap and relaxing Sunshine Coast family holiday. 2017 was a tough year for me with both my parents passing away. So two of my friends decided that what I needed was a girl’s weekend away. I chose Hobart since I’d been wanting to visit MONA for a while plus it was an opportunity to stay at Ramada Resort Seven Mile Beach. We decided on a 3 bedroom apartment so we each had our own room. It was perfect for catching up and the resort was in peaceful surroundings. 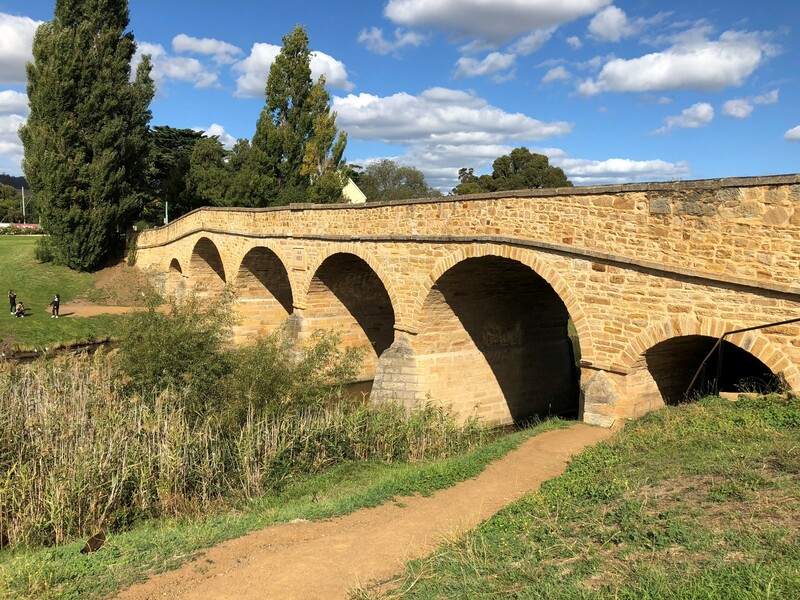 We flew in on Friday morning, picked up a hire car from the airport and drove to Richmond an historic town about one hour drive from Hobart. We visited the old church and wandered around the antique shops. We had afternoon tea served in silver teapot. Saturday morning was spent at the famous Salamanca Markets. We brought souvenirs. We had lunch at Maldini Italian restaurant. Then wandered back to the wharf where we went on a horse and carriage ride around the streets of Hobart. We visited Battery Point which is the old part of Hobart where you can find some of the original houses from the 1800s still standing. On Sunday we took the ferry to MONA. You can spend most of the day there as there is much too see. The views from the museum are fantastic. We had lunch in the cafe but its worth going to the restaurant if you can just for the views. Monday morning there was time to sleep in and more time to chat before checking out. In 3 days we had seen a lot but there were more places we could have visited such as Mount Wellington. The NSW North Coast region has just so much to offer and explore, so what better place to start this wonderful experience of beautiful beaches, multiple villages, National Parks, waterways and food stops is the city of Coffs Harbour. 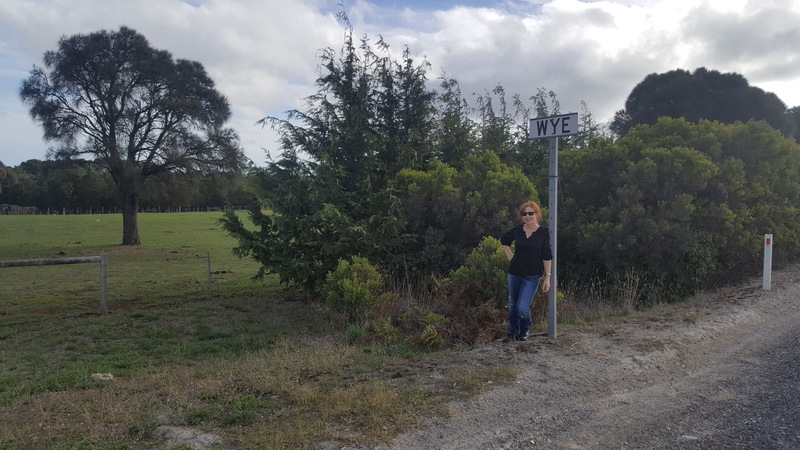 Our stay could not have been better, staying at the modern and very different Wyndham Ramada Treetops Resort just a few kilometres north of the Park Beach shopping centre and this very diverse city itself. The resort is quite different to the norm with three very modern high-rise buildings named Kookaburra, Sandpiper and Lorikeet which are all set on the side of a sloping hill with very different views. We have stayed here three times now in each of the buildings and the views vary from Rainforest jungle areas to overlooking an outstanding nine-hole Golf Course of close by Pacific Bay Resort Precinct so it’s always a pleasure to return. The staff here are always the friendliest from our first entrance and welcome to our final farewell (until next time) and each stay included very luxurious accommodation which we just love – especially the 2- Bedroom Grand. There is nothing like sitting on your patio for breakfast and having 3 or 4 Kookaburras on the railing next to you, or even a colourful parrot enjoying your breakfast with you – straight from the bowl! The heated pool and spa at the Ramada is very enchanting and difficult to leave, especially with the gym and BBQ area close, but just a short stroll or drive down the road, the Pacific Bay Resort Precinct has multiple facilities that we can also use including the golf course, tennis court, day spa and multiple pools. But Coffs Harbour city and the surrounding areas have just so many different places to visit, including beautiful beaches – large and small. 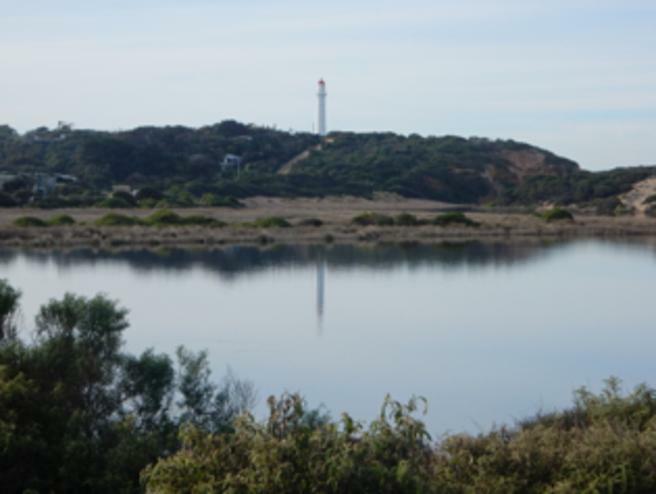 One of our favourites is the Coffs Harbour Jetty just 4.km from the resort and here an enchanting walk up to Mutton Bird Island Nature Reserve for its breathtaking views of the Jetty and coastline. This must be followed by lunch or dinner at the Fisherman’s Co-Op which is open from 10.00AM to 7.00PM daily. 50 local fishermen supply the freshest of seafood which you can order and eat in a covered dining deck overlooking the fishing boats, or you can purchase straight off the boats and take it away with you. Yes, Coffs has everything including the “Big Banana” not far from the resort which has eight great attractions including an Ice Skating rink. For local clubs don’t miss the C.ex Club in the city with its premier dining and entertainment, but for something really different again, you should visit the “Clog Barn and Holiday Park” just 1.5 km on the north side of the town centre as you are driving in. Here, not only will you see clog making demonstrations 3 times a day for free, but also visit an amazing miniature Dutch village with all sorts of beautiful and perfectly constructed Dutch buildings. They are true miniature replicas of the actual buildings which we have seen many times way over in the Netherlands and its photographer’s paradise and yes – it’s all free, complete with working Dutch windmills and two little working trains. So, you will not be in Madurodam in Den Haag (The Hague), Holland which is also famous in the Netherlands for its miniature village and buildings 25 times smaller than they are in real life but seeing all the work and dream of Dutch born Tom Hartsuyker who has created this over the last 35 years is so amazing right here in Coffs Harbour. Tom is now 85 years young and still making those model houses today. All the model buildings and town centres are clearly marked as to what they are and where they are, and our memories clicked into gear as we re-visited the Cheese Market in Alkmaar and enchanting towns and cities such as Maastricht – right here in Coffs Harbour! But there is more, the shop you will enter upon arrival is absolutely full of everything Dutch from nick-knacks, books, clogs, wooden cuckoo clocks and superb hand painted Delftware, and of course, this is where the clogs are actually made, and right next door is “Big Oma’s” restaurant which is open every day at 8.00AM and serves breakfast, lunch, afternoon tea and Dutch delicacies such as croquettes. Another very different and interesting place to visit is the family owned Carobana Confectionery Factory and retail shop at James Small Drive, Korora, north of Coffs Harbour. Here you will see (and taste) yummy Carob coated products including Honeycomb, Rocky Road, Nut Brittles, Macadamia Honeycrunch and coated apricots just to mention a few. Production days are Monday to Thursday and the best time to visit is in the morning where you will see enormous 5kg slabs of Honeycomb being made. If you want to travel a little further on the northern side, don’t miss the very different town of Woolgoolga (or Woopi as its known to the locals), then south to Sandy, Emerald, Moonee and Diggers Beaches, and don’t miss the beautiful 10-minute drive just a few minutes north of the resort and up through the banana plantations to Sealy Lookout. Here you will walk out on the Forest Sky Pier and see the magnificent views down across the city and coastline. Flying into Coffs Harbour? Well the Airport is just 6 km away from the Ramada Treetops Resort. 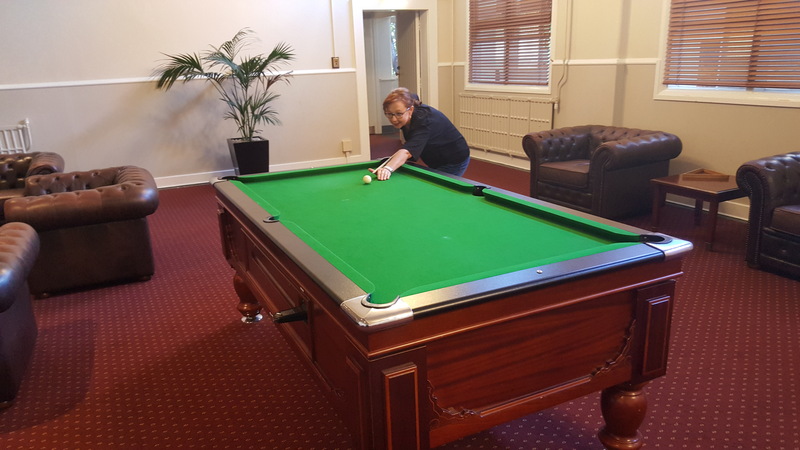 So there you have it, and we have really only touched the surface of this amazing and beautiful mid NSW Coast city, so make sure you book in to stay at the Ramada Resort Coffs Harbour – Treetops for your next delightful holiday. Sometimes you just need to get away from the stress and business of life and enjoy some down time. Being owners since 2001 we have been able to do just that on many occasions. 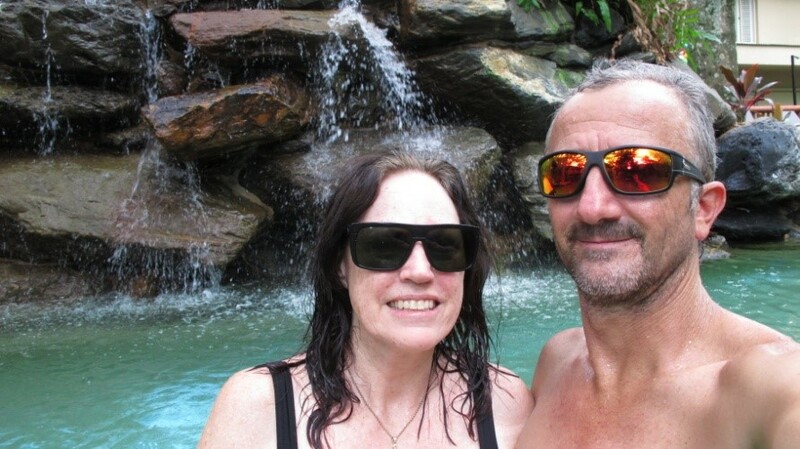 My husband and I headed for Surfers Paradise earlier this year for the weekend. Arriving we were surprised how close Wyndham was to the beach, just a stone throw; we were not surprised though by the friendly welcome by the staff. 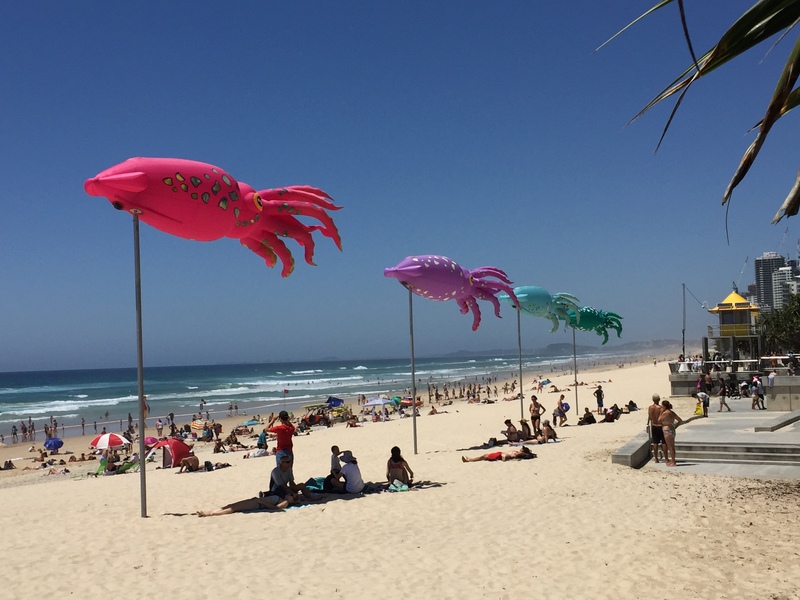 Having booked our room that overlooked the ocean, it was a quick unpack and down to the Friday Night Markets situated on the beach front. Even the husband enjoyed meandering through the stalls. 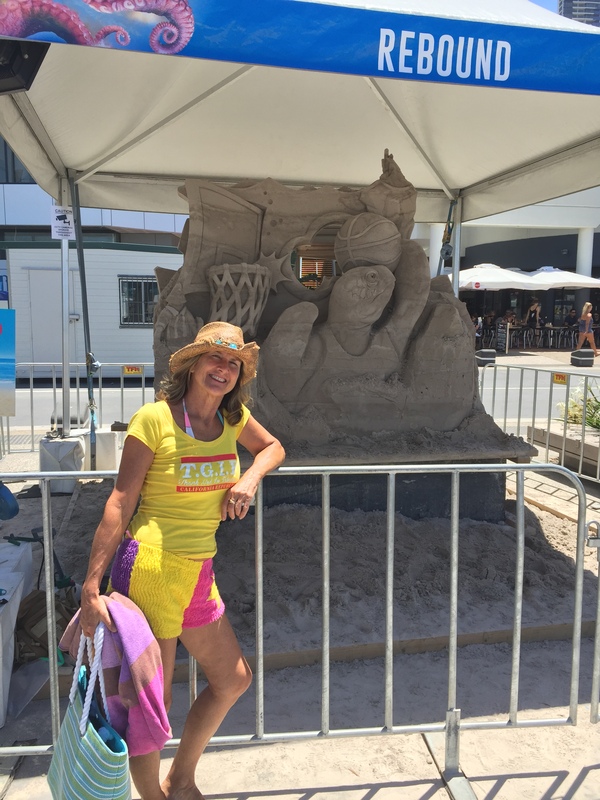 What surprised both of us was that the weekend coincided with the National Sand Sculpture Championships. This was a three day event which gave us much entertainment as we followed the artists’ progress as they made these extraordinary 3D works. They had started at 2pm that afternoon and already the sculptures were impressive. The next day we begun to appreciate the central location of Wyndham, the tram stop right out the front, we didn’t have to use our car at all during the weekend; a convenience store and BWS across the road, a terrific pizza shop, and Cavill Ave within easy walking distance. 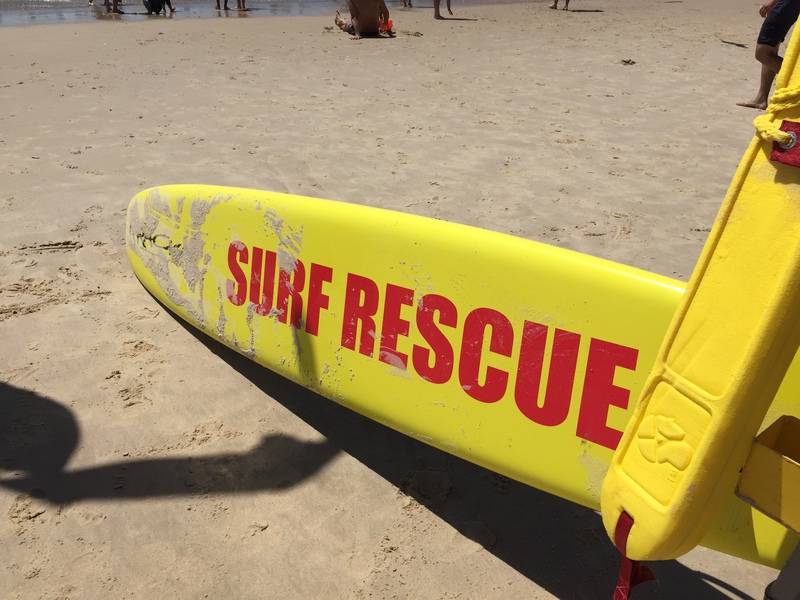 The weather was magnificent over the weekend, so it was no surprise that we enjoyed the sun, surf and sand of Surfers. In the afternoon we enjoyed happy hour at Wyndham’s bar area, a cocktail for me, a beer for hubby, it was a nice surprise to the end of the day. The Walrus Social Club was a short stroll down the street and provided the evening meal and entertainment in a relaxed environment. 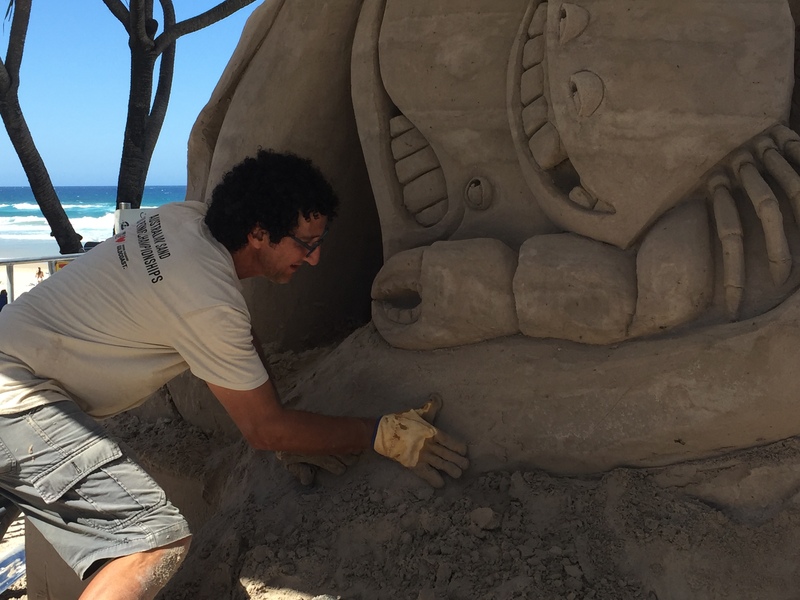 On Sunday it was a return to the beach for a swim and to cast a vote in the People’s Choice for the Sand Sculpture Championships. Talking with the artists was an engaging and informative surprise! Relaxed and reinvigorated we said goodbye to Wyndham Surfers and headed home. We shall be back. 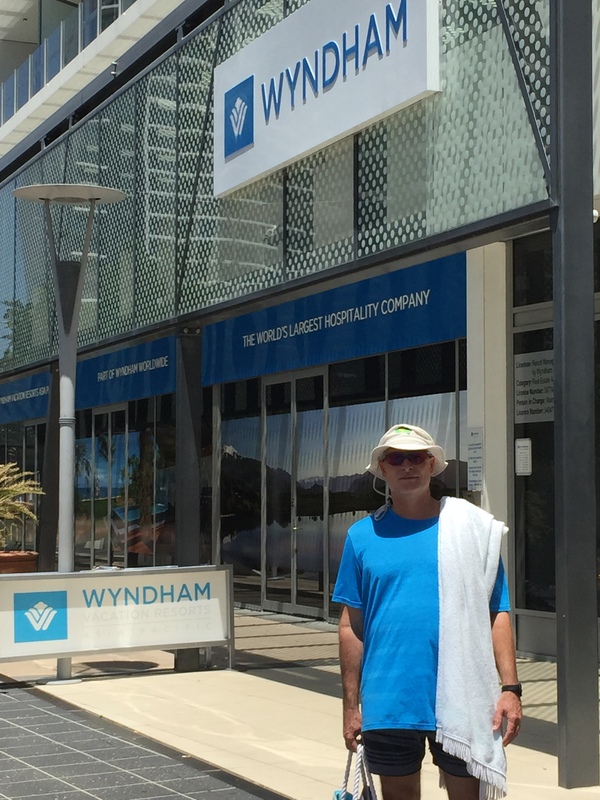 Read more Gold Coast holiday stories by Wyndham Timeshare Owners! My partner and I are long-term members of Wyndham Timeshare. 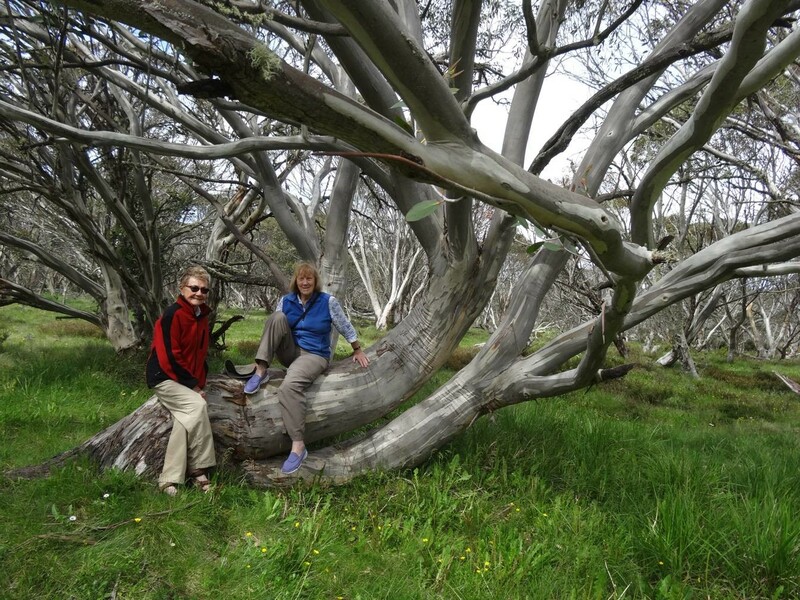 We joined about 9 years ago and have had a marvellous time staying in excellent accommodation in every state in Australia and New Zealand. When we joined there were only 3 locations in our own state of Victoria; Torquay, Ballarat and Lakes Entrance. Much to our delight, Wyndham has grown and the new locations both in Australia and internationally are splendid. That’s exactly what we did. The Ramada Resort Dinner Plain, Mt Hotham chalets were wonderful with nearly 360 degree views of the Alpine Mountains and brilliant sunsets. Well marked tracks led us to historic cattlemen’s huts and scenic waterfalls, fed by melting snows. A week was not enough but the return to Melbourne via Bright in the Ovens Valley also gave us an off season treat. In Mytleford, the ripe cherries were being harvested and we staggered home with kilos of ridiculously cheap, lush red fruit to give to our city friends. Staying in a ski resort in summer is perfect – you have to try it! 2017 was a roller coaster ride for our family. There were many ups and downs which tested our resilience and love for each other. Beginning of January, my husband started a new job because he was made redundant in 2016. April was when we celebrated our 25th wedding anniversary by renewing our vows. We had friends and family visiting us from overseas, I was diagnosed with hypertension and type 2 diabetes. My daughter graduated from high school, then went through the dreaded HSC. Then we celebrated her 18th birthday with a big party, and I was involved in a car crash. By December, I was so exhausted and drained physically, emotionally and financially! So when my husband decided he was booking at Ramada Resort Shoal Bay using our expiring Wyndham vacation points for Easter break, I immediately said yes! Checking in was smooth and hassle-free. Justin from Wyndham Vacation Club was very helpful and polite and informed us with all the facilities of the resort. The one bedroom unit was clean, tidy and quite roomy for the three of us. We were able to attend the 3pm Good Friday mass at St. Michael’s Parish as it was only a 10-minute drive. The resort’s location is fantastic, it was surrounded by shops and restaurants. The bay is across the road; on the right side are the mountains with a walking track to Tomaree Head. 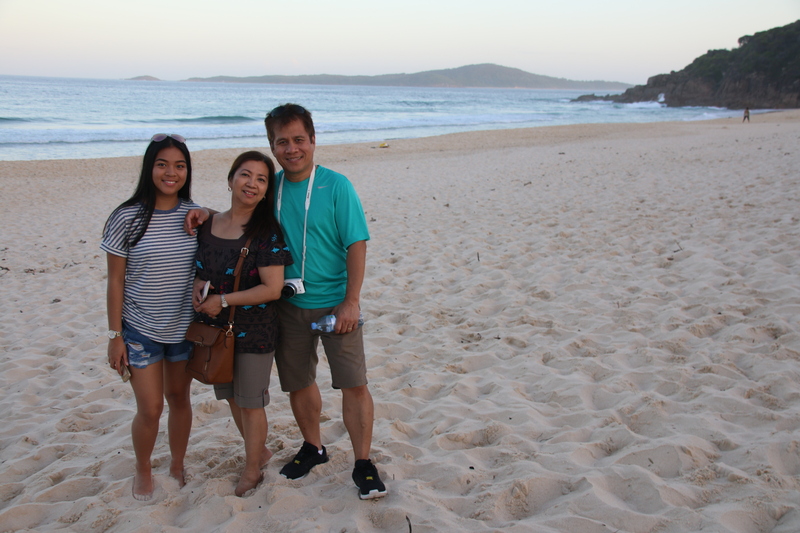 There was also a short passage off the road that leads to the pristine and secluded Zenith Beach. As we walked along the shoreline, the cheerful vibes from the holidaymakers are contagious and you can tell everyone’s having a good time. We had a swim on the beach and a picnic lunch in the park overlooking the water. We walked off Tomaree Head and as you reached the summit, the view was spectacular! For dinner, we booked a table at the Shoal Bay Country Club. The seafood platter was delicious and priced reasonably. By Easter Sunday, we attended the 8am mass, had a beautiful alfresco breakfast and explored nearby Nelson Bay. Then it was time to go back to Sydney. I said a prayer of thanks for the blessings and left with a happy feeling. This short break invigorated me with a renewed energy and determination. I am ready once again to face all that life throws at me. As we were driving out of the carpark, I looked back at the building and promised myself that we will be back. Thank you Wyndham Vacation Club for the opportunity! Oh what to do when a couple of Brisbane shift workers have 3 days off together….it’s easy when you’re WorldMark owners! Do a quick search on the website for what’s available on those precious few days and go! Fly to Melbourne and jump into a hire car. Drive 1.5 hours and stay in our beautiful Ramada Resort Ballarat. 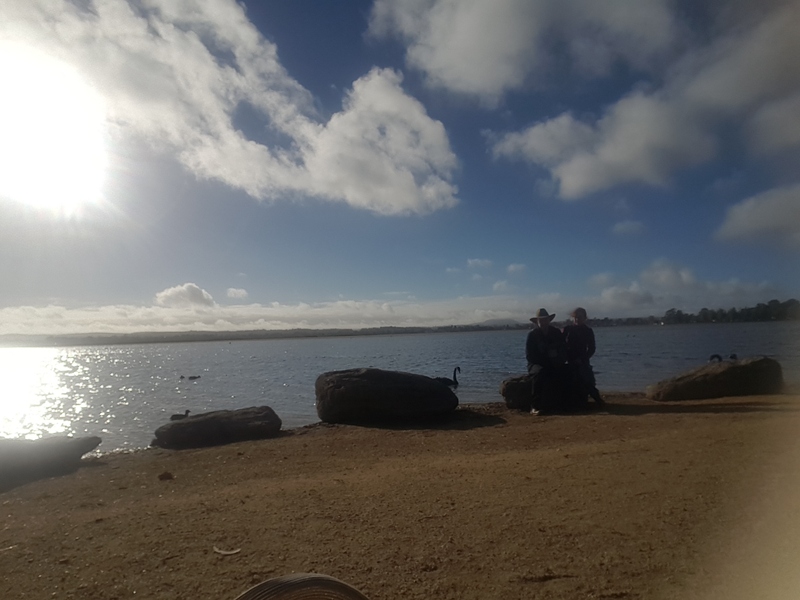 Walk 7 kms around Lake Wendouree and be a part of the most extraordinary array of ecosystems. Drive to Bendigo and climb the lookout tower before having a drink at the art gallery. Back to Melbourne and then Brisbane and home to reality. No worries, there’s a WorldMark shortbreak just around the corner! Just like right now, as we write this, looking over Pumicestone Passage from one of our favourite resorts, gorgeous Golden Beach, on another WorldMark short break. Why we went from 12,0000 credits to 100,000+ credits in 3 years? 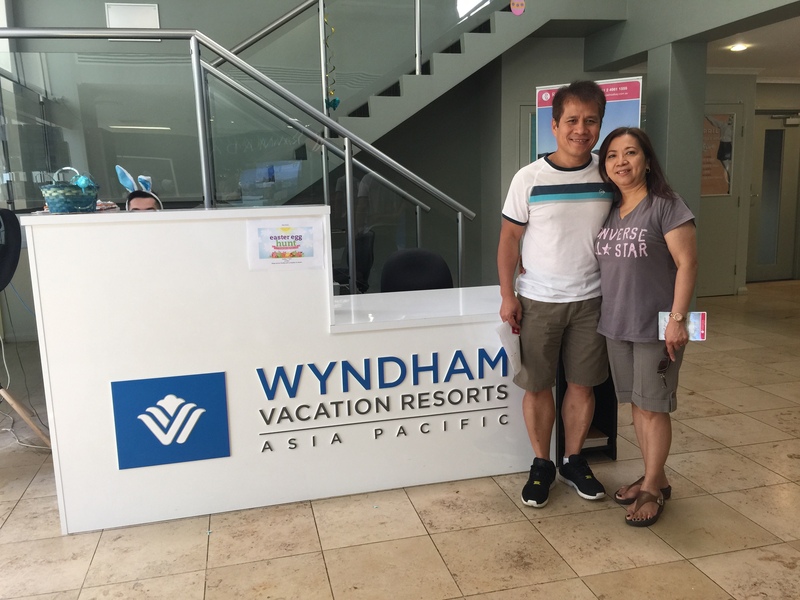 We began our WorldMark South Pacific Club by Wyndham journey in November 2014 when we purchased 12000 Credits. 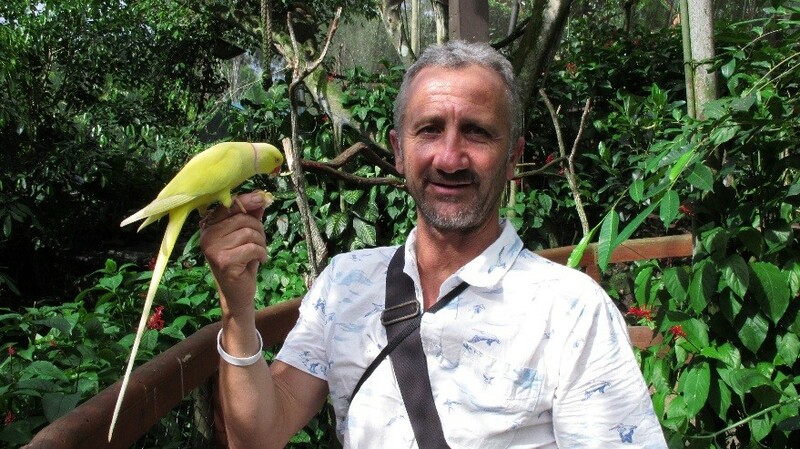 We had been Time Share owners since around 2004 where we would enjoy our “floating week” every year or perhaps exchange it for another resort, we were somewhat limited in what we could do with our time share ownership. Since becoming WorldMark South Pacific Club by Wyndham owners we have discovered a whole new world of Time Share flexibility and experiences. We have fully utilised our membership having holidayed at all Victorian Resorts (apart from Ramada Resort Dinner Plain) and nearly all the NSW Resorts. We have used our Personal Choice, Club Travel, RCI exchanges, Ice Cruises and 241 cruised. 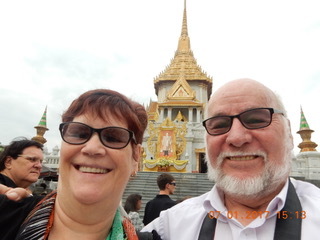 We have enjoyed a Club Travel arranged APT Vietnam Cambodia Mekong Cruise, and another club Travel arranged 241 Cruise from Singapore to Hong Kong with an extended stay in Hong Kong, using personal choice. In October this year we enjoyed 5 days in Darwin staying at the Ramada Suites Zen Quarter (courtesy of Wyndham Rewards) The photo below is from the café deck at sunrise have you ever seen a better breakfast location. 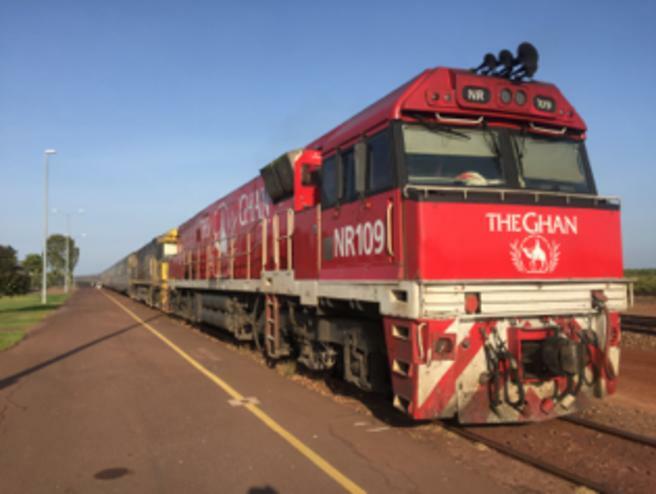 We enjoyed a Darwin City Tour, The Jumping Crocodile and Litchfield Park tour and of course the Kakadu tour then jumped on the Ghan to Adelaide Wow what a trip! And all paid for by our personal choice options. Upcoming holidays with the whole family are 8 nights in the 4 bedroom grand at Ramada Resort Seven Mile Beach and the 7 nights at Ramada Resort Port Douglas and 7 nights in WorldMark Resort Cairns next September. Our WorldMark South Pacific Club by Wyndham experiences have been excellent to the extent that we steadily increased our ownersip to the reach 100 Club membersip earlier this year. Our ownership has been the best lifestyle investment we have ever made. WorldMark South Pacific Club by Wyndham ownership really makes the World your oyster, you just need to learn how to open it up! We would like to thank the following WorldMark South Pacific staff for assisting us in our lifestyle adventures and achieving our goals. Mark Wells (Torquary), Daniel Trovato (Shoal Bay) and Alex Damoli from membership enhancement.